They don’t hand out awards for no reason. That’s the first clue you’re going to love the new 2018 Honda Accord. It’s the 2018 North American Car of the Year, and that’s a title that doesn’t come easily. It’s a mid-size sedan that outshines the competition. There are tons of reasons you’re going to fall in love with the 2018 Honda Accord. Perhaps to you it’s the fuel efficiency of the 2018 Honda Accord Hybrid or the looks of the 2018 Honda Accord Sport. But here are three things everyone will love about the 2018 Accord available at Vardaman Honda in Hattiesburg, MS.
One look at the 2018 Honda Accord and you’ll be hooked. There’s just no comparison to the Accord for breath-taking style. Its fastback rear window and shortened trunk lid give it a sporty appearance, no matter which trim level you choose. The Accord’s forward-leaning stance is menacing, a car you don’t want to mess with. Available LED headlights and LED fog lights and bright LED taillights add to the dramatic appeal. Perfectly-placed chrome accents and stunning aluminum wheel designs greet the eye. Whether it’s the grille, window mouldings, or the exhaust finishers, your eye is drawn to key areas of the Honda Accord. When Kelley Blue Book gives you the Best Auto Tech Award, you’re going places fast. The 2018 Honda Accord has the popular features that make it such a value-driven vehicle at its price. The 10th-generation Accord has available features such as a 6-ich driver’s Head Up Display, Qi-compatible wireless device charging, automatic Bluetooth pairing with audio and phone compatibility, and a 4G LTE Wi-Fi hotspot built in. That’s above and beyond standard Honda Sensing features which include Collision Mitigation Braking System, Road Departure Mitigation System, Adaptive Cruise Control, Lane Keeping Assist System, and Traffic Sign Recognition. There’s also dual-one automatic climate control, push-button start, a multi-angle rear-view camera, and much more as standard equipment. 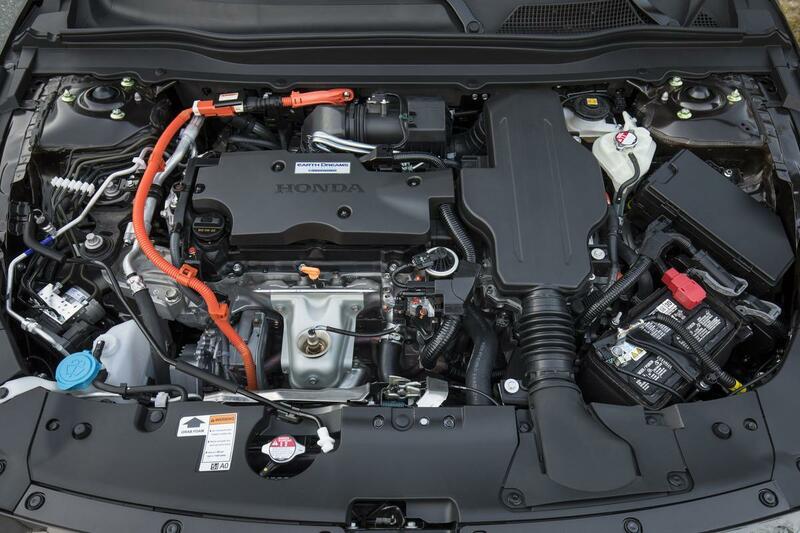 · There’s a turbocharged 1.5-liter four-cylinder that’s standard equipment on all trim levels. With 192 horsepower and 192 lb.-ft. of torque, this turbocharged four-cylinder engine has plenty of power for even the most discerning driver. · Available on the 2018 Honda Accord Sport, EX-L, and Touring trims is a powerful turbocharged 2.0-liter four-cylinder. It makes 252 horsepower and 273 lb.-ft. of torque, creating one of the most enjoyable driving experiences you could find in a mid-size sedan. 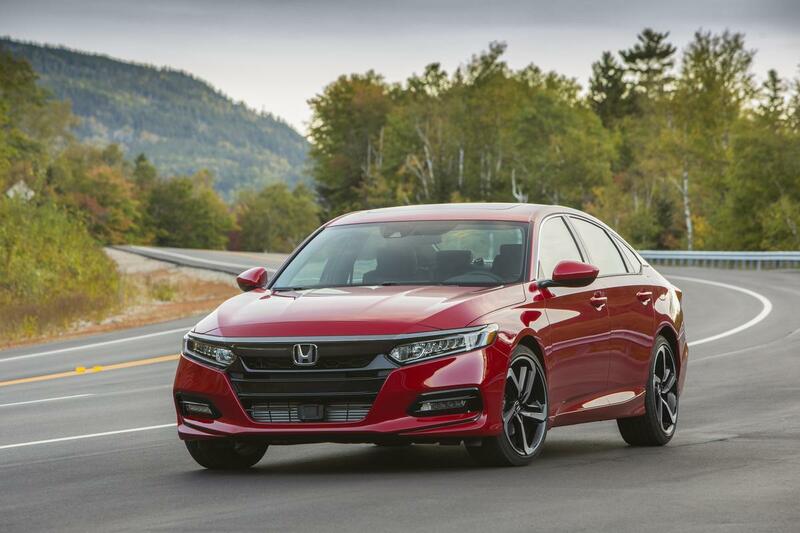 · There’s also a 2018 Honda Accord Hybrid, found in all Accord trims but the Sport trim. It’s comprised of a 143-hp gas-powered 2.0-liter engine and an AC Synchronous Permanent Magnet electric motor for a total combined system horsepower of 212 hp. While enjoying the ride, you can save on fuel costs. These are just three things you’ll absolutely love about the 2018 Honda Accord. Discover these and other awesome features when you test drive the Honda Accord 2018 at your local Hattiesburg Honda dealer, Vardaman Honda.